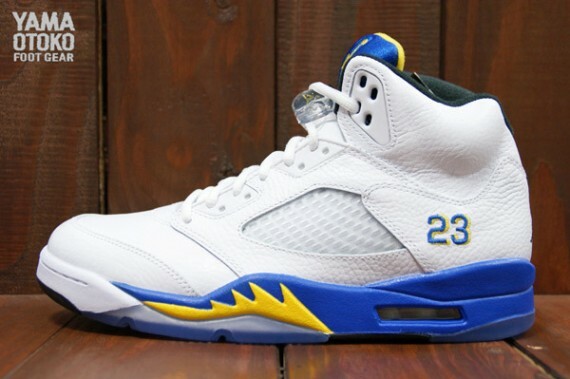 Next weekend marks the return of the Air Jordan 5 Retro inspired by Michael's Laney High School days. 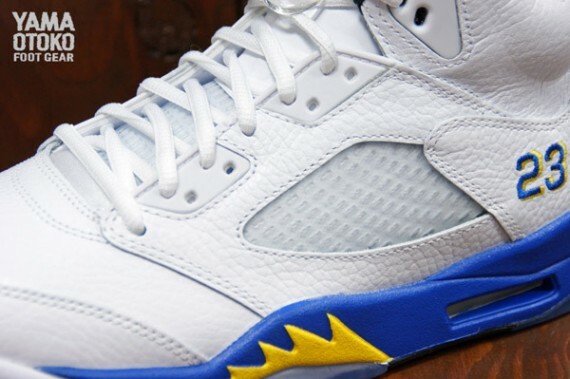 Originally released back in 2000 as part of the Air Jordan V's original retro run, the 'Laney' edition arrives just as they did 13 years ago. 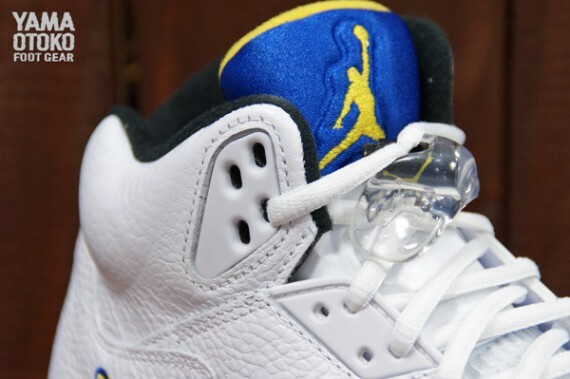 Tumbled leather once agains builds them up, working with oval laces and MJ's jersey number 23 stitched into the heel. 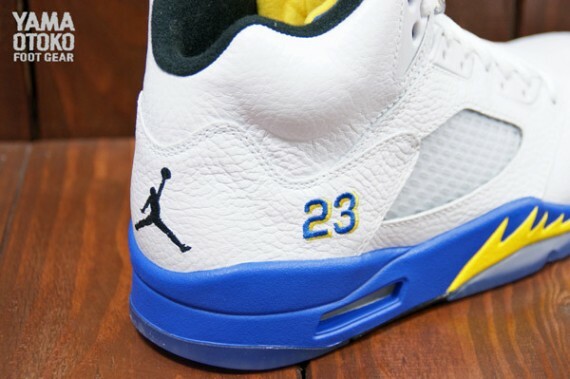 Inspired by MJ's Laney High School, we see hits of varsity maize and royal accenting throughout the entire shoe. 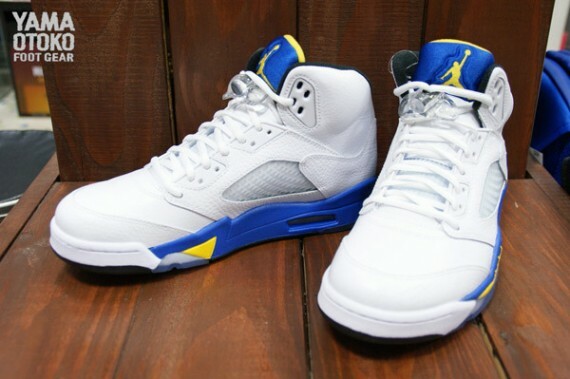 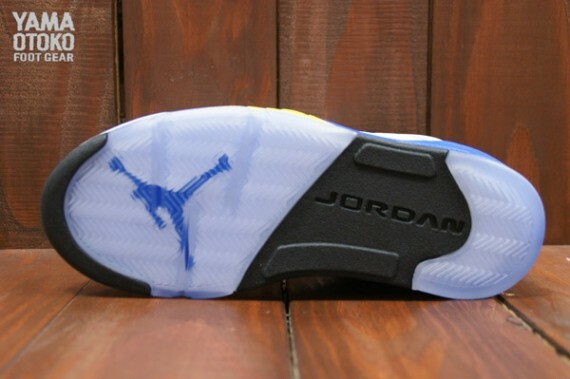 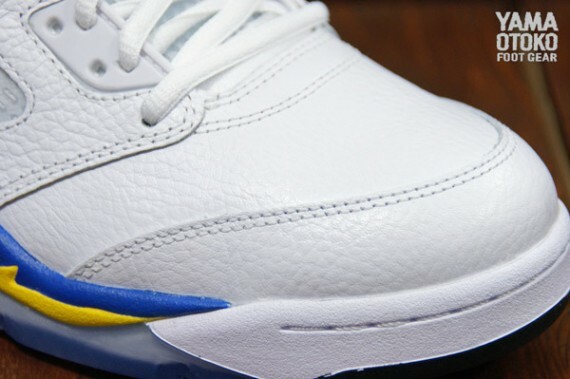 The 'Laney' Air Jordan 5 Retro is set to hit select Jordan Brand accounts on Saturday, November 2nd.